As many of you would know we are a KidsMatter school. We are currently in the process of completing Component 3. KidsMatter Primary was an Australian mental health and wellbeing initiative set in primary schools. The initiative was developed as a response to the high rates of school-age children with mental health challenges. The National Mental Health Commission Review of Mental Health Programmes and Services Report of 2014 found that there were multiple initiatives promoting social and emotional health and wellbeing for children and young people across education settings. All of these initiatives were designed and delivered with the best possible intent but had the potential to be so much more if they were integrated into one single, national end-to-end education-based program. 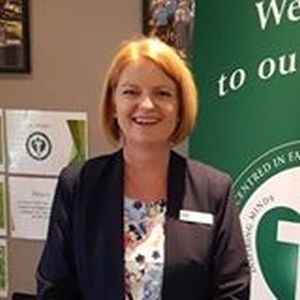 This led to the Australian Government’s National Support for Child and Youth Mental Health Program, which has the vision to support infants, children and young people to achieve their possible mental health. 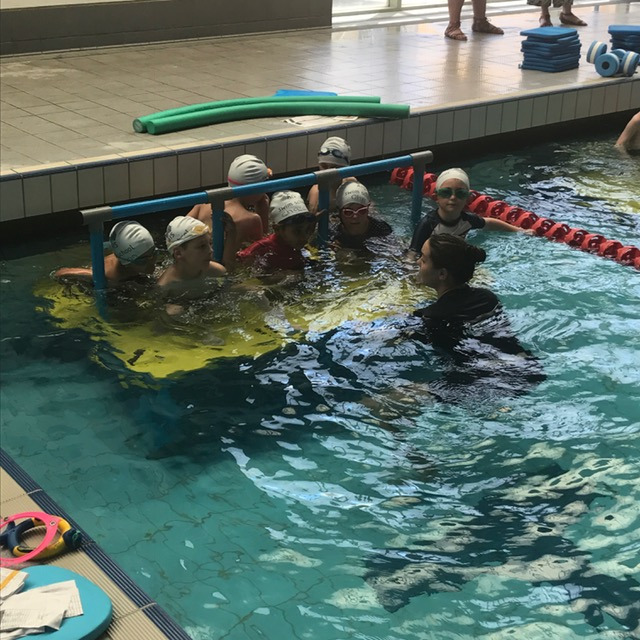 Our annual swimming program is running smoothly. The students are enjoying the lessons and the bus trip! Caitlin Brown will be taking 12 months leave next year to travel. We look forward to welcoming Caitlin back to STM in 2020! Please come along tomorrow to see your child’s growth and development. It’s also an opportunity for the students to “show off” their work and classroom. This Friday at 9am. Everyone welcome. As we enter the half way point of Term 4, it is a little reminder to us all that now, more than ever, is a time to become still and centred as we move towards Christmastime. 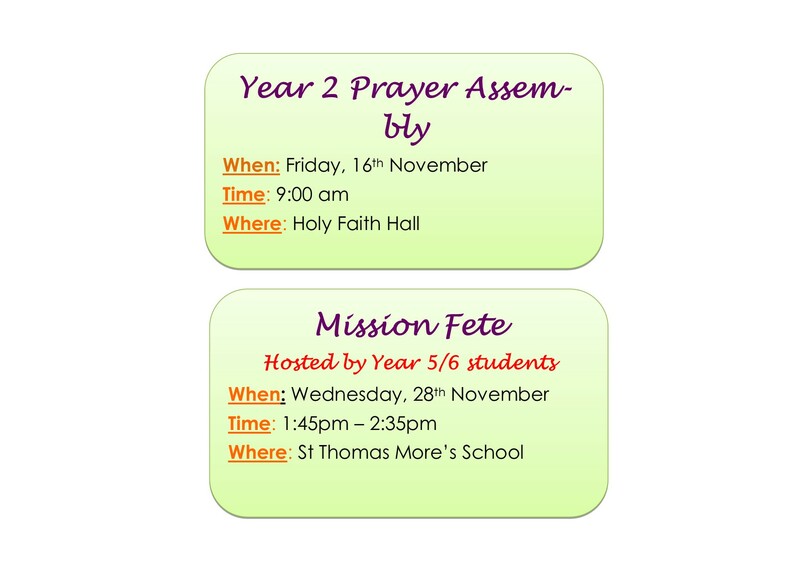 As mentioned in last newsletter, St Thomas More’s School places significant importance on Christian Meditation, as one way to centre our heart and mind towards God. When we practice Christian Meditation in class and at assemblies, students are more grounded, calmer and more able to focus their attention on our school values of peace, courage and wisdom. Our second ‘Hero of Faith’ this term is Ruth. A key lesson we can learn from Ruth is that she also placed her heart and mind towards God and spent time in prayer. She showed loyalty and faithfulness towards her family and to God. 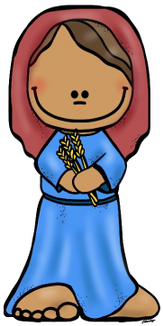 Ruth married into the Jewish faith and adopted God as her God. 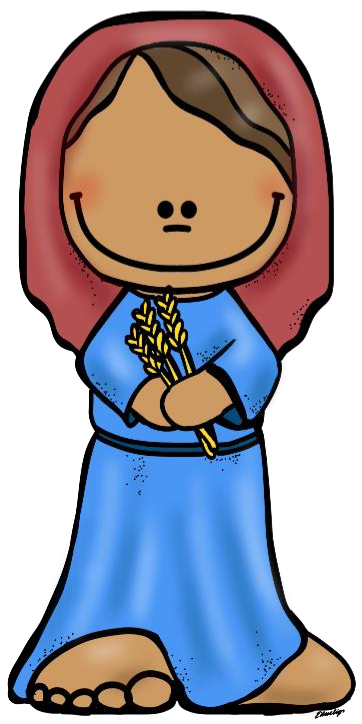 The Book of Ruth is a true testament to how God is faithful and loving to all people, regardless of faith or culture. Ruth showed respect, loyalty and faithfulness towards God and her family. Ruth was brave in keeping her commitment to Naomi and took care of her. Ruth was a hard worker and would go to nearby fields to pick up leftover grain to help feed Naomi and herself. “Where you go I will go, and where you stay I will stay. Your people will be my people and your God my God.” (Ruth 1:16) Ruth trusted that God would take care of her. Ruth was a woman of humility, commitment and integrity. 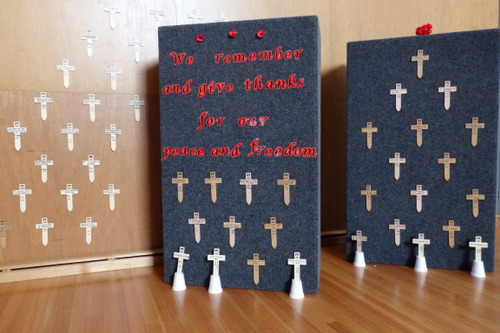 On Friday, 9 November our school remembered the men and women who have served our country in past and current wars and peace keeping operations. Thank you very much to our parents and visitors who attended and particularly to Geoffrey Young (father of Cameron Year 4) who read the Prayer of Remembrance and Sergeant Dwayne Turvey, Quartermaster Sergeant of Australia’s Federation Guard who gave the Reflection. 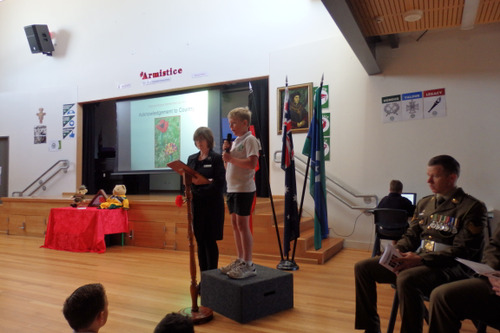 Sergeant Turvey directed the Catafalque Party at our Anzac Day Liturgy this year. This same Catafalque Party went to France for the official Anzac Day Service there. Sergeant Turvey very generously offered to take our little wooden Commemorative Crosses that the children had written on special messages of tribute to the battlefields in France. 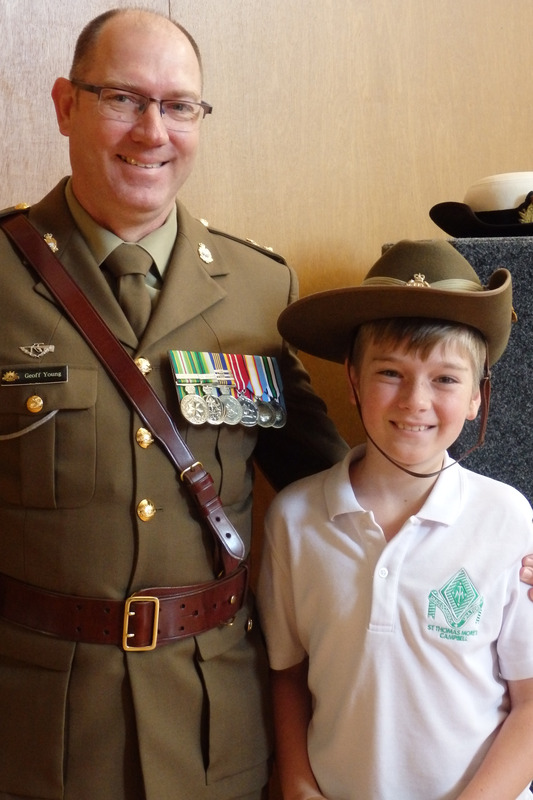 A great story is Darren Jaensch (father of Lachlan, Year 4) was also in France for the Anzac Day Services. 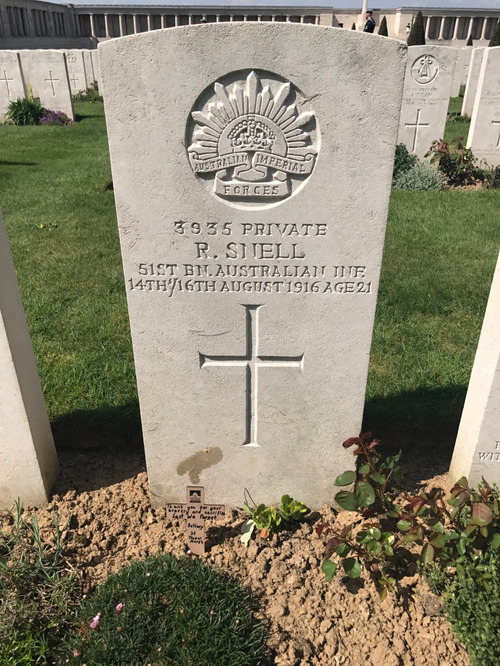 Somebody gave him a Commemorative Cross to place on one of the war graves. 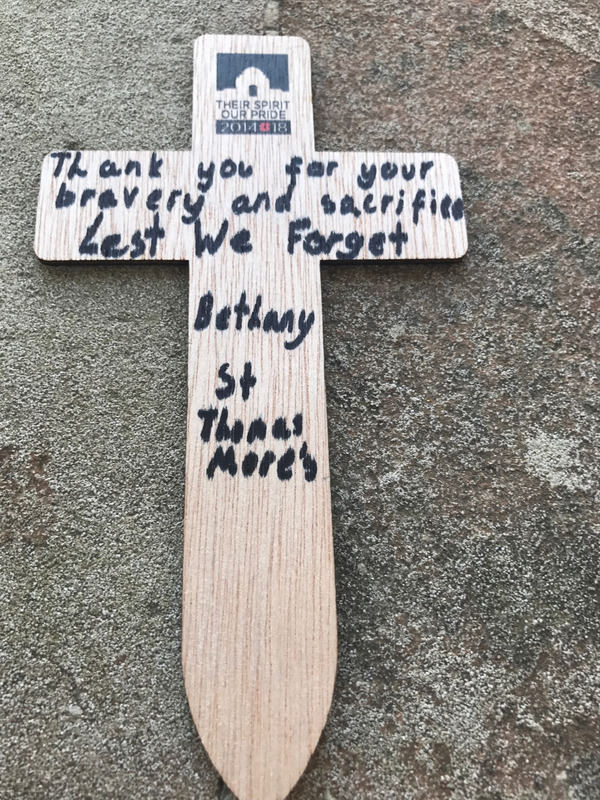 He was very surprised to look at the cross and see St Thomas More’s Primary School with Bethany’s (Gibson, Year 6) name on it. He placed the cross on the grave on Private Richard Snell in the Cemetery at Pozières. The somebody who gave him the cross was Sergeant Turvey. 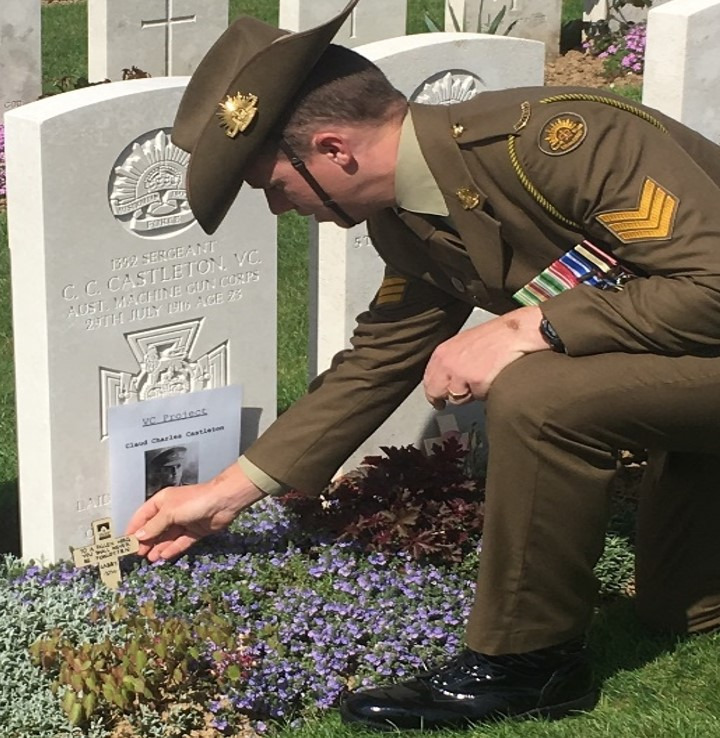 Hopefully, this serendipitous series of occurences helps our children make a special connection with – what can sometimes seem an abstract concept – commemoration. 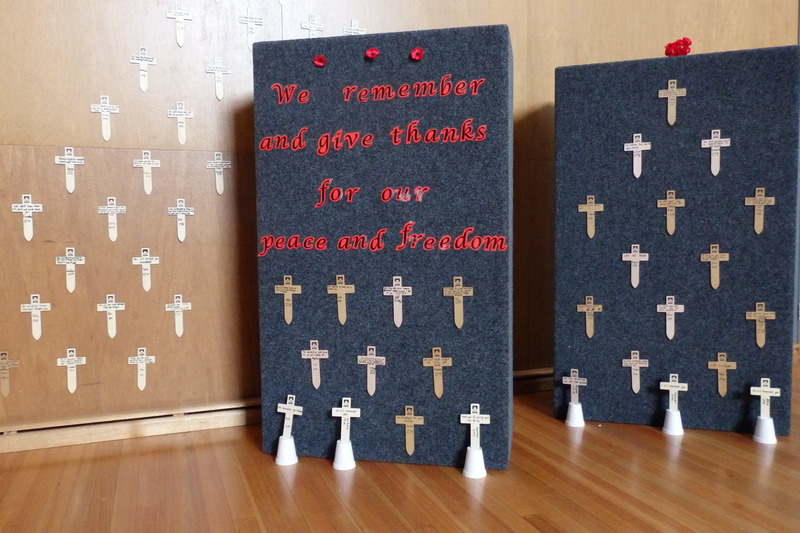 Genuine thanks to Sergeant Turvey for taking our commemorative crosses to France and coming back and sharing the experience with us at our Remembrance Day Liturgy. Thanks also to Jaki Kane, who led the St Thomas More’s School Choir in beautifully singing ‘We Will Remember’, a song written especially for the Anzac Centenary by Russell Tredinnick. Later in the morning they sang the song again at the ceremony at the Southern Cross Apartments. 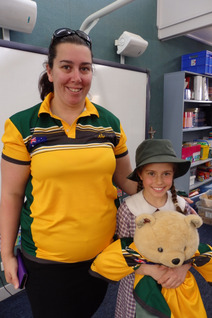 Ava Walsh (Year 6) read the Ode and William Ervin (Year 6) lowered and raised the Australian Flag for the occasion. St Thomas More’s was gifted an Anzac Bear from a former parent of the school and Team Leader of the Invictus Games, Brigadier Phil Winter. 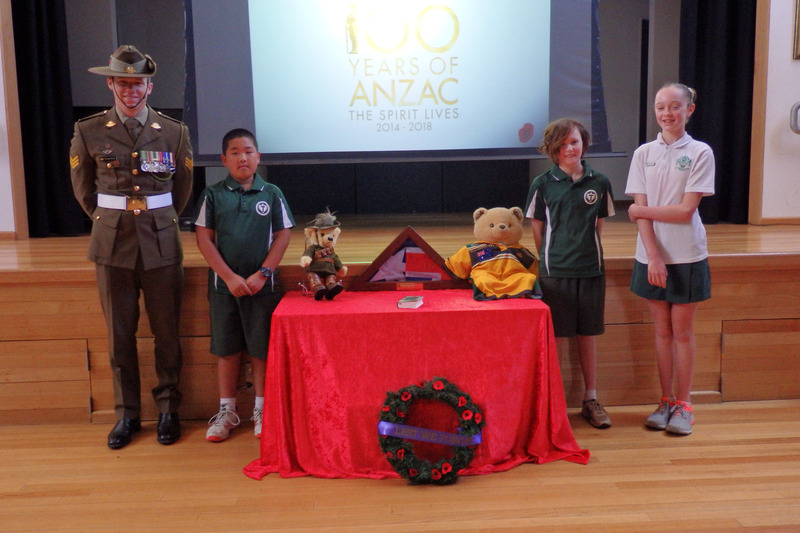 The Anzac Bear is Trooper Jones who is a First World War uniformed bear of the 5 Light Horse Regiment. We also received an Invictus Games T-Shirt. 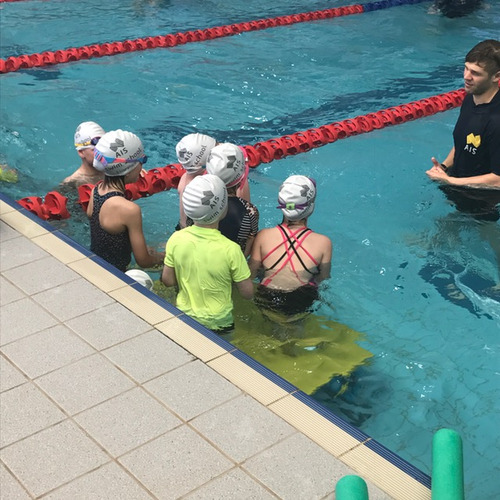 Phil Winter organised for a competitor of the recent Invictus Games, Tiffany White, to visit us. Tiffany was a gold and silver medalist in the indoor rowing and power lifting events. She spoke to the 3/4 classes about her experience and answered many interesting questions posed to her by the children. Her special message to the children was it was more about having a go, being part of the team and looking out for others than winning the medals. Thank you very much to Phil and Tiffany for your time with us. The Veterans and Veterans Families Counselling Service (VVCS) changed its name to Open Arms - Veterans and Families Counselling in October 2018. Open Arms provides counselling and support services to Australia's military community. If you have served one day of continuous full-time service in the ADF you can call for support. Families, reservists and some peacekeepers are also supported. Open Arms continues to provide the same professional, confidential service, with 24/7 support available to all current and ex-serving ADF members and their families. To learn more about Open Arms, call 1800 011 046 or visit https://www.openarms.gov.au/ . 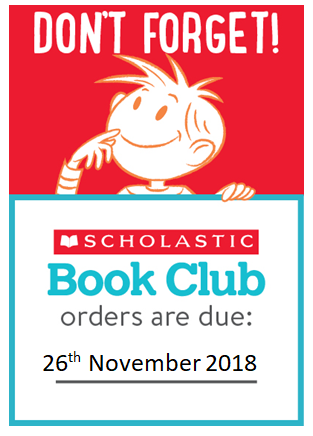 Our next Mini Vinnies meeting will be held this Friday, 16 November. We will be finishing our prayers for the Archdiocese St Vincent de Paul Society Vinnies Little Book of Prayers We will also discuss our activities for the remainder of the year such as the SVdP Christmas Hampers.